Apple has long been known as the leader in the mobile application industry with their mobile application marketplace and iPhone that attracted thousands of users from all around the world and started the Smartphone/Mobile Application craze that we have today. While Apple is still the leader in the Smartphone Application industry, Google and their Android Platforms are not far behind and there is a chance that Google’s Android Platform could overtake Apple Smartphone application industry. The popularity of both Apple and Google Smartphone devices are at a all time high and both companies are doing everything in their power to be the superior company in not only the Smartphone industry but also the mobile application industry. Since a lot of mobile application development firms and mobile application developers strongly feel Apple will remain the top player in the Smartphone / Mobile Application Industry, they are continuing to train and learn as much about the iOS platform as possible and not put it in the back-burner to Google’s Android Platform. Other operating platforms are also getting attention by mobile application development firms and mobile application developers such as the Windows Mobile Operating System but those do not generate nearly as close attention as Apple and Google does. 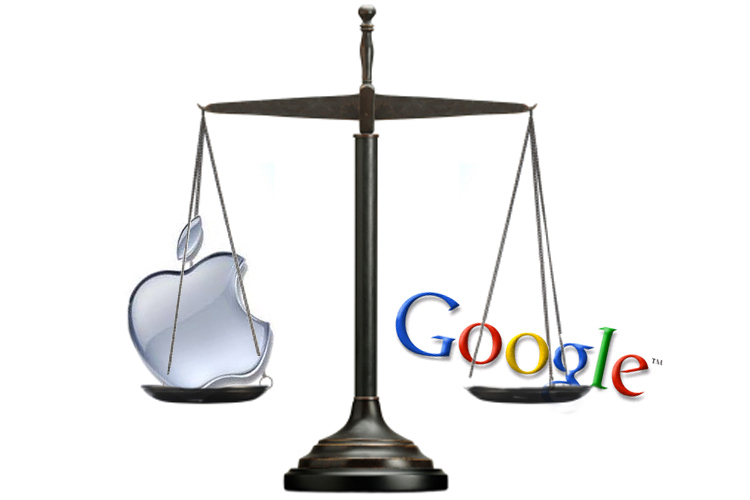 As we continue into the future, many mobile application development firms and mobile application developers feel confident that Google and Apple will be battling each other for Smartphone / Mobile Application superiority; and it will be interesting to see which one of these two powerhouse companies become the clear-cut leader in the Smartphone / Mobile Application industry. Apple lead the way until Google started capturing a large part of Apple’s market share, now the question is: Will Apple gain it back?